If you are one who feels defeated, encourage you to hold a mirror to what we victoriously survived over the last several centuries. As people who live in difficult times, we can never have enough reminders of human beings who embodied resilience and cultivated goodness. Feelings of frustration are natural. Yet when isolated, then compounded across generational traumas, they can metastasize into an inferiority complex for an entire people. Reflect on the genetic journey of millennium that led into you. Listen to your lungs. How powerful is your breath for even being able to hold air with the weight of Empires that have attempted to impede that natural process of inhale, exhale, breathe. Listen to your heart. Give thanks to those who came before, then leave behind a little more than what you were given. Do not limit intelligence to solely the mind. Be a genius of heart. Playing small only benefits your enemies. 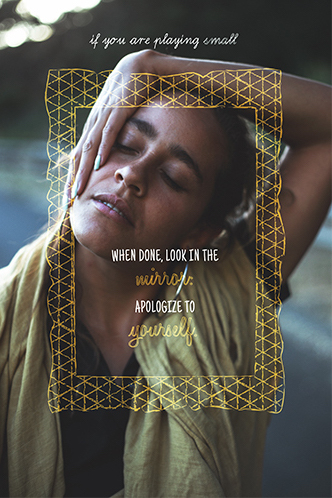 Epilogue: On The Relationship Between Loving Ourselves And Embracing Our Spine. We live in a time where the outer parts of the human body are celebrated, and the inner parts of us are neglected. In this moment, I invite you to embrace that one of the sexiest and most beautiful parts of the human body is the spine. I really would like to see it more often. 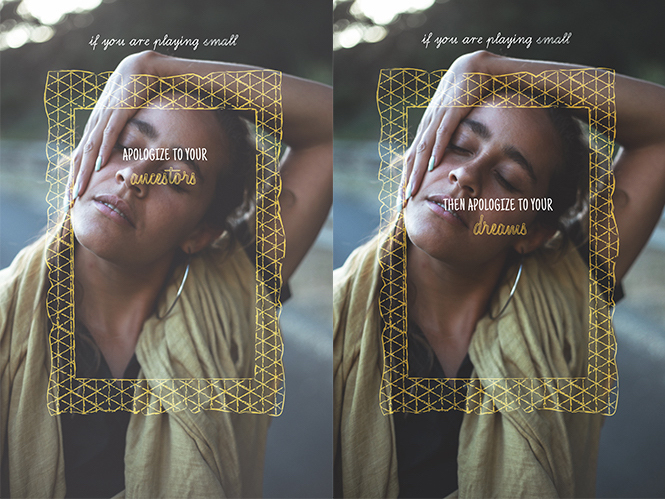 Would you like 'If You Are Playing Small' emailed to you as a PDF? Enter your email below, and we will send it to you as a gift.